When submitting your home loan application, a lender is going to review every aspect of your financial background. Specifically, your FICO score, which ranges from 300-850. Having a higher, positive FICO score is crucial to your loan approval and interest rate. Securing a lower interest rate can help save thousands of dollars over the course of your loan. Eliminating any debts will help improve your overall credit score. Since applying for a loan is essentially adding a debt to your name, clearing up as many debts as possible beforehand will increase your odds of approval. You can have an 800 FICO score along with $100,000 sitting in the bank, but if you can’t prove your income, and back it up with tax records, a lender simply cannot approve your request. Some income-related issues that can cause a hiccup in the process may include: frequent job-hopping, gaps in employment, not having two years consecutive employment, or recently going from a salaried position to commission-based work, which complicates proving your track record and true earnings history. Taking the time to have these documents prepared is crucial, as even the highest earners cannot be approved for loans without the paperwork to pave the way. 100% financing to borrowers is extremely risky and doesn’t happen. It is necessary you start saving for a down payment as well as closing costs early on. If you’re unable to come up with roughly 10% of your desired home loan, you may want to consider applying for a FHA loan. These are typically 3.5% down. If 3.5% down is still more than you can put down, you may want to consider taking more time to save. It might also be a possibility that you are applying for a loan out of your range. If that’s the case, try expanding your home search and see if there’s similar options on the market that won’t stretch your budget so tightly. Remember, once approved for a loan, mortgage payments will take priority! Don’t stretch yourself beyond what you can truly afford. A comfortable price range can usually be found by taking your after-tax income, then subtracting all current debt payments and then multiplying that number by 25%. Learn more about the different loan options here and here. At the end of the day, purchasing a home is one of the most rewarding experiences, both personally and financially. These beginning steps may be tedious, but they are absolutely worth the efforts! Let our agents at Armstrong Real Estate help you with the hunting! Give us a call at 615.807.0579. 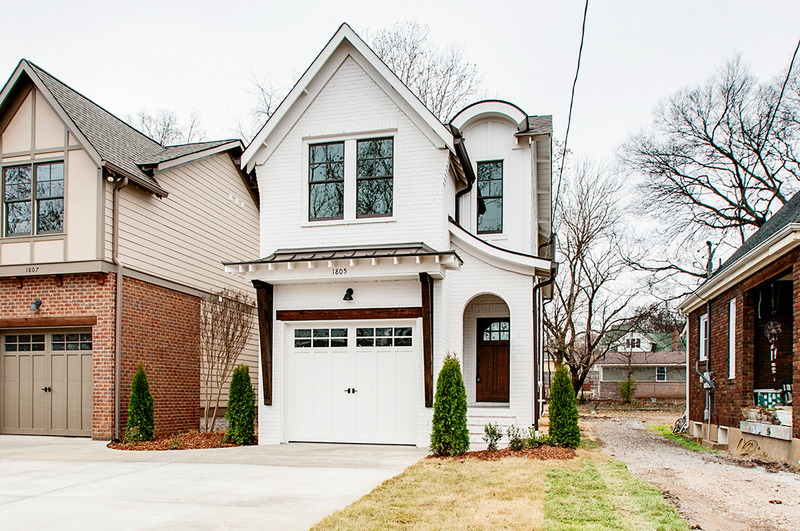 Check here for the most updated listings in the up and coming areas of North Nashville!